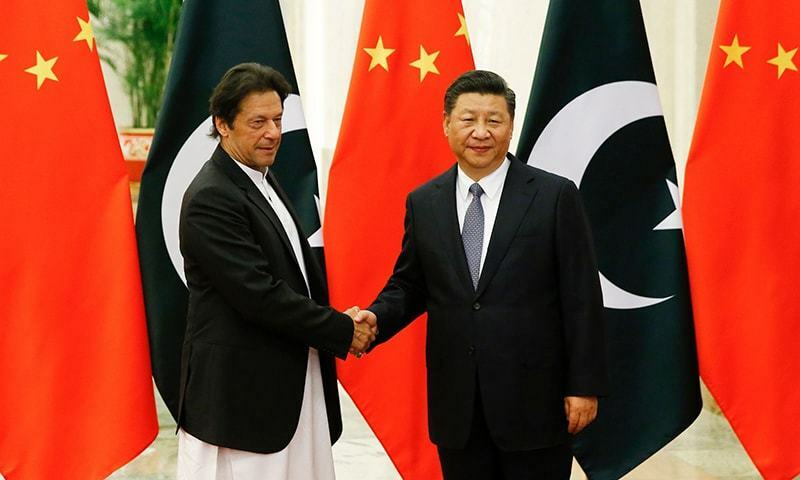 Prime Minister Imran Khan met Chinese President Xi Jinping in Beijing on Friday while on his first official visit to China, Radio Pakistan reported. Information Minister Fawad Chaudhry described the meeting as "very productive", promised good news soon, and suggested that Pakistan would secure a major economic package from China. "My party has only been in power for two months. Unfortunately we have inherited a very difficult economic situation," PM Khan was reported to have told the Chinese president. "Countries go in cycles. They have their high points, they have their low points. Unfortunately, our country is going through a low point at the moment with two very big deficits, a fiscal deficit and a current account deficit. And so we, as I’ve said, have come to learn," Reuters quoted Imran Khan as saying. The premier described Xi as a role model owing to his vision and leadership. "Our country is very impressed the way China has progressed. China's phenomenal achievements are worth emulating. No other country has tackled poverty and corruption the way China has tackled it," he said. 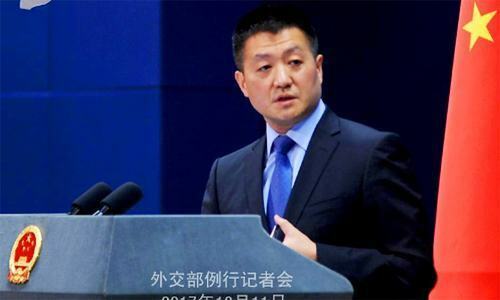 "Pakistan wants to learn from China's experience in poverty alleviation and curbing corruption," he added. 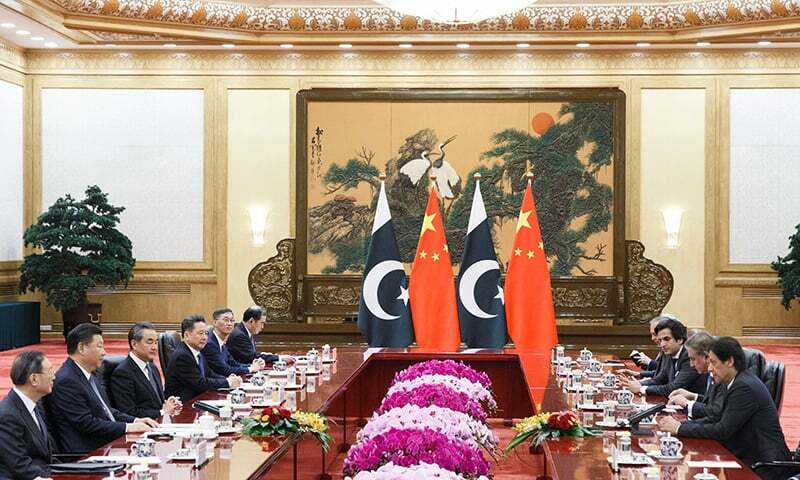 President Xi Jinping, while welcoming the prime minister, said that Pak-China relations have already been strengthening, and have now gained momentum. "The relationship has not only benefited the two countries but also the region," Xi said. President Xi told PM Khan that he valued both countries' relations, and reaffirmed their "all-weather" friendship. PM Khan extended an invitation to President Xi Jinping to visit Pakistan. Both leaders reinforced their shared commitment to taking their all-weather and time-tested Pak-China friendship to new heights,and further strengthening the existing multifaceted equation of the two countries for theirs and the regions's benefit, Radio Pakistan reported. Foreign Minister Shah Mahmood Qureshi, who is accompanying the PM, met his counterpart, Wang Yi and discussed measures to further bolster bilateral relations in diverse fields, Radio Pakistan reported. The two sides underscored the importance of the Pak-China all-weather strategic cooperative partnership for a shared future. They reaffirmed their complete common understanding on early realisation of CPEC projects. They also reiterated their steadfast commitment to strategic partnership and underscored taking it to new heights. The two foreign ministers discussed building the bilateral relationship further along the lines of the 10-point agenda covering multifaceted practical cooperation. They agreed to continue strategic communication on regional and global issues of importance, Radio Pakistan reported. Both sides also held a delegation-level meeting. PM Khan led the Pakistani delegation, while President Xi led the Chinese side. Both sides discussed bilateral ties and matters of mutual regional and international interests, and reviewed all aspects of the Pak-China strategic partnership. The prime minister later met Jin Liquan, the president of the Asian Infrastructure Investment Bank (AIIB). PM Khan invited the AIIB president to Pakistan to explore investments in power generation, transmission, transport and water projects. Finally, the prime minister also met Song Tao, minister of the International Department of the Communist Party of China, along with his delegation. The PM's four-day visit is aimed at reviewing the entire range of bilateral relations and to participate in the First China International Import Expo in Shanghai. Both sides are also expected to sign several agreements and MoUs of cooperation in diverse fields. He was scheduled to meet Premier Li Keqiang, president of the Asian Infrastructure Investment Bank, Jin Liqun, and Minister for International Department of the Central Committee Communist Party of China Song Tao. 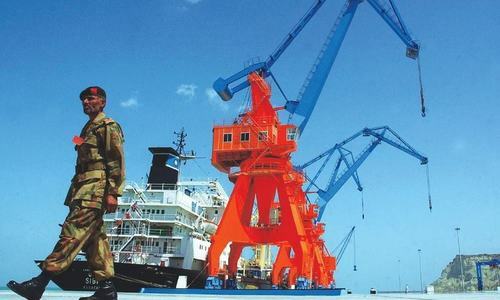 On Thursday, Minister for Planning Makhdoom Khusro Bukhtiar said that Pakistan would not seek rescheduling of about $2.7 billion in Chinese loans due for repayment this year but expected a good economic package, including exp­ansion of the multi-billion dollar China-Pakistan Economic Corridor (CPEC) to another level. The prime minister separately told Chinese journalists that he hoped the scale of Chinese partnership would help Pakistan bridge its current account deficit and build foreign exchange reserves. He said his government had been working on two paths, including an International Monetary Fund (IMF) programme and support from friendly countries. He noted the assistance agreed to by Saudi Arabia, and said that China's support would allow Pakistan to avoid a large IMF loan that may attract tough conditionalities which ultimately lead to inflation, squeeze the economy and put additional burden on the people. The premier is accompanied by Bakhtiar, Foreign Minister Shah Mahmood Qureshi, Finance Minister Asad Umar, Railways Minister Sheikh Rashid Ahmed, Adviser to the Prime Minister on Commerce, Industry and Investment Abdul Razzak Dawood, and Chief Minister of Balochistan Jam Mir Kamal on his trip to China. 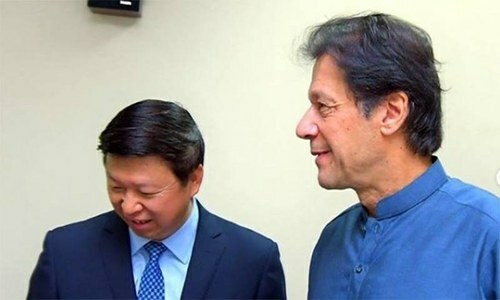 PM Khan was received at Beijing Airport by China’s Minister for Transport Li Xiaopeng, Ambassador to Pakistan Yao Jing, and other senior government officials. Pakistan's Ambassador to China Masood Khalid was also present. The premier is expected to visit Shanghai to participate in the First China International Import Expo in Shanghai, where Pakistan is exhibiting a wide range of export products. He will be a keynote speaker at the inauguration of the Expo, and will hold meetings with other world leaders on the sidelines of the event. Would love to see IK going through security like he has distilled in other members of parliament including the good doctor. The President was sent on a commercial flight, IK travels private. Leadership starts from the top. Escaped to China so that later minions can be blamed for mishandling the ongoing security situation. Rats abandoning the sinking ship! Ask for loan,ask for military equipments,ask for Construction of infrastructures,ask for poltical support and the list of begging is never ending. What self respect will you have in international standing.A real shambles!! IK being a keynote speaker is a great previlige for Pakistan otherwise Nawaz could have been sitting at a corner. I’m sure a lot has been already decided earlier for the economic package from China through diplomatic channels. Our hard working leadership is on a mission and InshaAllah new Pakistan will be emerging with it. I don't think any prime minister would leave his country in such a situation. @Mohan , His visit was scheduled long before the SC verdict was even scheduled. He gave out a clear message in his speech that day. A PM never does the negotiations and I think he believes in institutions being good enough to deal with the bigots on the streets. Who received Chinese Prime Minister when he visited Pakistan, a junior minister like that of Transport? 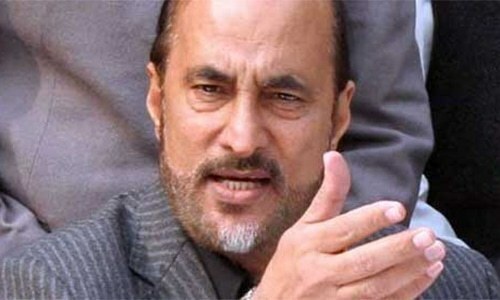 Will Pakistan ask for equal and reciprocal treatment.from the Higher than Himalayas Iron-Brother? Had he not gone to China now, the very people accusing him of escaping, would have protested about inflation and so on because Pakistan would have had to depend on a bigger IMF loan and tougher conditions. As a PM he has to make choices and he has made a good one. Look at his entourage. All CPEC related. Do you see his relatives or cronies as was the case with previous govts? It's all about business and economy. @RUMI, And if he cancels his scheduled trip what message would it convey to the outer world? Simpleton thinking does not work when it comes to running a country. @RUMI, Premiership is all about choices. Are you willing to face tougher IMF conditions, higher energy tarrifs and so on tomorrow? May be you are, but about another 200 million Pakistanis? The society is Pakistan has become so polarised they are not willing to think and pay heed to the other side of the coin. I believe CPEC is such an agreement. If IK renotiates it for fair terms, he is a great PM. Otherwise Pakistan will have tough time. Makes me want to telephone for Chinese food. Why all these ministers with him when their ministry's secretaries are already there with the PM? Country is in turmoils and they should have been back home with Fawad Chaudhry. @Mohan , The trip was planned long time ago. It is preposterous to say that he sneaked away and avoided the situation back home. CPEC not only getting completed but being enhanced. IK strategy is turning the corner from economic and corruption hopelessness to hopeful in the shortest space of time. We salute you Sir. @Swiss Neutral, "China usually influences a person at a very level to get very favourable agreement from foreign governmrnt" Yes, and the western countries generally influence a person at a very level to get very UNfavorable agreement from foreign governments, we know that. Keep it up, very educative indeed. Shameless man. First he barricaded Chinese President's way in to Pakistan and delayed the start of CPEC for a year and now with him to beg more. Look at the picture.The moment the face of Sh. Rashid is seen with Imran Khan, the personalty of Khan is seriously tainted. China must be thinking about her loans recovery. After seeing the current situations and people's desire of freebies China must be in tension. @Concerned citizen and thinker, : : The PM went to China with a huge entourage with a very extensive itinerary that was not possible to arrange with any commercial airline. Let us talk with simple logic and economic benefits. Good to see our leader in national dress. President XI Jinping face told the entire story, he just doesn't look much interested. Only IK can do this taking the country out of darkness. @Concerned citizen and thinker, You are wrong ,he took Pak Army plane to China which is assigned for such trips. @desi dimag, "China must be thinking about her loans recovery. " They have left that responsibility to Indian commentators of Dawn. They are more worried than Chinese themselves. I thought IK and his mates travelling by economy class PIA in Naya Pakistan but it was same old Pakistan private AIrline. Please make learning Chinese compulsory for all schools. It's all about asking for money. Aid and not loans. What a turncoat he is. He was my childhood hero. Also learn from China how to crush bigots and people who challenge the writ of the state. @RUMI, perhaps you should stop thinking altogether. Clearly you have no train of thought. @Zak the Great, What have you done for Pakistan ? Great to see IK in China. China must support us with at least $6 billion grant so that we avert current economic crisis and move towards greater partnership. Lot of hopes with a friendly nation. Imran Khan is on right track.The only way to progress and to increase our GDP is to minimise the corruption evil.PM Imran Khan is coming back after learning Anti corruption tactics.China and India population being same but China enormous growth in comparison to India in last 40 years is that their Anti corruption strategies have worked.Pakistan to learn from China.GDP China US$300B and India $200B in 1980 and now GDP China $14T and India $3T nearly 5 times more due to control of corruption. Pakistan and china are time tested freinds. They have various partnership in Cpec. China will extend its financial assistance to recover this current financial deficit. @Mohan , When you actually understand the news only then you should comment. For once in Pakistans volatile history, democracy is working in unity with other instruments. The state instituitons namely the army, the judiciary and the the government are working together on one page. Are you jealous of this fact? To achieve this you need to curb the menache of extrimisim and corruption. PM Khan was received at Beijing Airport by China’s Minister for Transport Li Xiaopeng, Ambassador to Pakistan Yao Jing, and other senior government officials. This tells a lot! Why not the Chinese premiere? @Satya Jeet, This is burning you up I can see it!!. Excellent start. If Pakistan succeeds in significantly reducing corruption economy will improve with Help from China and cooperation with neighbor countries. It seems Pakistan is moving in the right direction. It is amazing how they use chopsticks. I would one day like to learn and eat like that as well. @Mohan , "Escaped to China..."
What escape? Are you watching a Bollywood movie? @Concerned citizen and thinker, So what do you expect the PM to do when invitied for an official visit? Take a regular flight and carry his own luggage? Do you know the difference between invitation to attend a conference or inauguration of an Airport, verses official visit as the head of the government to a the largest economy, our bigges trade parter in the world and biggest invstor in Pakistan?? China is a real friend of Pakistan Long Live Pakistan China friendship. Indian and PMLN trolls are out in force again, keep spreading negativity but nothing will change the fact that Imran Khan has the backing of most Pakistanis and that's unlikely to change because of your shallow comments. @RUMI , You are clearly working on Maryam's agenda! @RUMI , You are always spreading negative propaganda! Give us money or we might implode. Waiting to hear how much China will give and against what, since Chinese do not give anything free. A lot of envious comments here from neighbor. @Global Peace, "Waiting to hear how much China will give and against what, since Chinese do not give anything free." 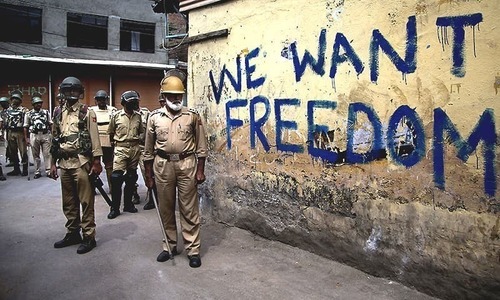 Only US and India give everything for free!!! Don't be negative. This visit was already planned. If IK miss this opportunity he would have missed an important economic forum. In real world you have to work according to the schedule of the world, world would not work according to your schedule. @Crusoe, That there was existential crises in Pakistan, which is not, One percent misguided people are on the streets. Once they burn their energy it will all be over. Street protests does not change court verdicts. Khadim Husain should be arrested and sentenced to death for inciting mutiny, according to the constitution. Enough fear, just call his bluff, put 100 thousand activist of his party in jail, or may be sent on forced labor to work on filling dam banks. Best news ever. I deal the China a lot and one of my wife is Chinese. Please ask for visa free movement for Pakistan as it will help trade and family relationships. PMIK is the best. "Ask for loan,ask for military equipments,ask for Construction of infrastructures,ask for poltical support and the list of begging is never ending." What a big heart person is he ! . PM Khan and his entourage must also learn from China how to take care of extremists and terrorists and finally control over Army not the other way around. guys you don't know conditions of your muslim brother in china,they are giving mental training for all muslims in china. Xi: Put them in the camps. @Mohan , don't you know the dates of visit was decided long before supreme court verdict. stop spreading propaganda focus on your own country. Who will invest in Pakistan after seeing the current situation? Hope he is not learning communism and dictatorship. On the last day of his visit to China, Pakistan will scrap significant portions of CPEC project. Well, he already HAD a planned trip to CHINA before the Asia case was announced so it is wrong to declare that he 'ran' away from the country. Get your facts straight before you go on accusing people! Even I would like to learn the art of taking other nations for a ride in the garb of "investment". Securing loan isn't big deal, what are the conditions at which he secured it is critical. There is no free money. The Prime Minister has class and confidence. The only thing you can learn from China is secularism. 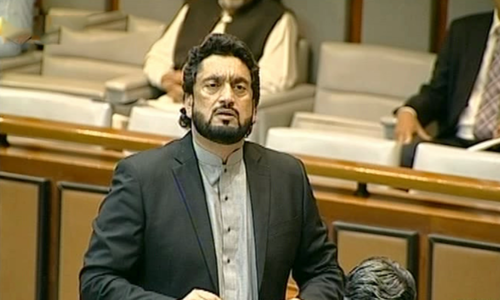 Pakistan enacted a special law to ban communists and communism in Pakistan. Today we are talking about learning from a communist nation. What a travesty! I love Imran Khan, his simple way of dressing and easy way to address difficult issues. I hope he also take up the diffucult situatuation of Muslims in Xingiang and especially the arrested wives of Pakistani men. @Mohan , man this visit was scheduled in advance. Stop being jealous and review your own PMs numerous visits abroad. @Zak the Great, funny how you never complained before when same was happening under different govts for ages. Give his govt at least a few years. @Satya Jeet, don't get caught up in who received who. This is customary. If you want to learn from China, first you need to bring sweeping reforms in the education sector to eradicate illiteracy. @BAXAR, why does mention of loan bother so much? It's good that we want to learn from China, but instilling work ethics and punctuality in Pakistani workers is going to be more of a challenge. Good Luck. 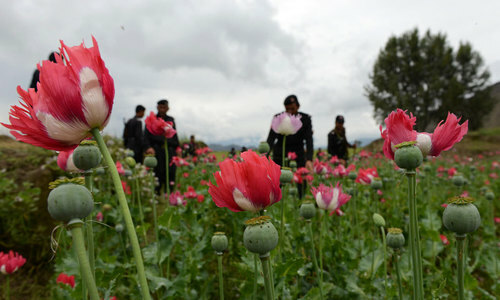 @Khurram, China must support us with at least $6 billion grant so that we avert Really? they must? all these expectations from others what do you do for yourseld? @Hasnain, Mohan , don't b negative thinker SO thinking positive got you to this place of looking for loans? What will Sheikh Rashid contribute in this trip? IK should learn how to run government first. He has failed the people who voted for him already. "GDP China US$300B and India $200B in 1980 and now GDP China $14T and India $3T nearly 5 times more due to control of corruption." In 1991, GDP per capitas of India & China were half of Pakistan, today India is 1.5 times and China has 3 times of Pakistan. By the way, China's GDP is $12 trillions, not 14 & India is catching up. Pakistan in depending on China for loans whereas China is depending on India for trade and business. India is a 5 trillion dollar economy and 7th largest in the world and growing at fast rate surpassing China. China doesn’t need Indian market. Indian market is big by volume but money wise is small. Chinese go after dollars and euro not devalued Indian rupee. Pakistan should learn from China about how to control population. That step alone can considerably reduce poverty among the people. There was a time when Chinese premier came to Pakistan to learn industrial revolution back in 60’s. And applied Pakistani industrial experience over mao’s failing agriculture revolution and succeeded. Bhutto applied failed mao’s agriculture revolution in Pakistan and we failed, fall and broke. And went back to learn what we lost. 71 years of learning and still we didn’t graduate in anything. @BAXAR, Chinese don't show emotion but they surely know how to get the money back. @Justicefirst, You must have Chinese style one party system to develop in that pace which is not possible in a democratic country with enormous population like India.Also China has top level corruption but incase of India there is top as well as bottom level corruption just like the case of Pakistan. I thought China wants to learn from Pakisthan !! @Pak Army, : Why we have not learnt from China for the past 50 years of friendship ? Great! First thing you need to learn is how to set up internment camps!